1. Take your domain name and put it on our hosting and give you a year of hosting for free. 2. 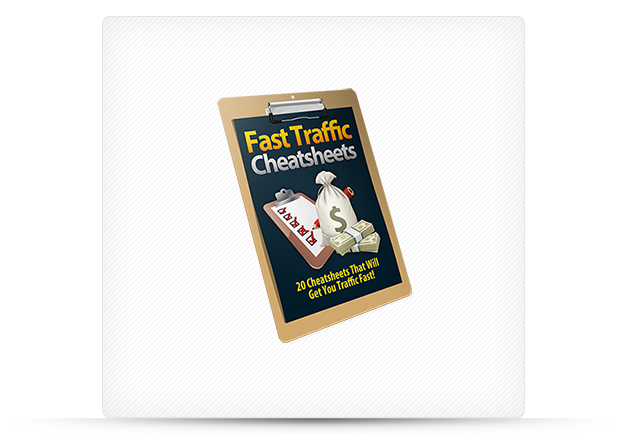 We will install the sales letter for the Fast Traffic Cheatsheets product on your domain name. This will include a working order button so you can start selling this product! 3. 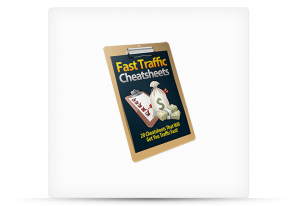 We will install the download page for the Fast Traffic Cheatsheets product on your domain name. 4. We will create a list in your autoresponder account (we only support Aweber and GetResponse) so that everyone who buys from you is added to the customer list for this product in your autoresponder account. This allows you to follow up with your customers with information and additional offers. 5. We will setup your product through JVZoo (this is free) so that you have a fully functional affiliate program and can get affiliates to promote your new product for you! Once we are done you will have a fully functional product that you can begin promoting and making money with! As you can see when you invest in our installation service you're taking the stress off of yourself and putting it on us, and don't worry we can handle it. We've been doing this for years and can ensure you that EVERYTHING will be up and running perfectly! We can only take on 20 clients at a time so if there's an order button below jump on this now because it will be replaced with a sold out sign as soon as all spots are gone! Just click the order button below, pay your one time install fee, fill out the form with your information, and we will have your product setup and ready for you to make money with it in 48-72 business hours.